This 3-month full time program will provide intensive training for medical professionals to acquire skills for occupational health practice. The course contents and curricula have been framed as per guidelines issued by the Academic Council of AFIH, Industrial Medicine Division, Central Labour Institute, DGFASLI, Mumbai. 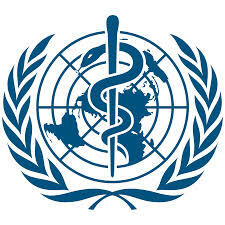 This includes Various aspects of Occupational health and Industrial Medicine Practice, Practical, Clinical training, Educational visits, Group discussions, Project work etc. The training will prepare candidates for the qualifying examination to be conducted by the Examination Board of DGF ASLI at the end of the 3 month period and successful candidates will be awarded a post graduate certificate entitled “ASSOCIATE FELLOW OF INDUSTRIAL HEALTH” which will fulfill the requirements in terms of additional qualification of Factory Medical Officers of Hazardous Process Industries as required under the Factories (Amendment) Act, 1987. This academic year the program will be administered between April 01, 2019 and June 30, 2019. The program is administered by The Department of Environmental Health Engineering, Sri Ramachandra Institute & of Higher Education & Research (DU) with faculty who are well recognized for research and training at the national and international levels in the field of occupational and environmental health. The department is equipped with state-of-the-art occupational health, industrial hygiene and safety laboratory as well as an extensive library. Multi-disciplinary research projects, industry linkages and national/international partnerships will provide additional exposure on national /global occupational and environmental issues as well as project opportunities for students. Sri Ramachandra Institute of Higher Education & Research (DU) provides a vibrant student atmosphere nearly 6,501 students enrolled in a range of medical, dental, nursing and allied health sciences programs at the undergraduate, post-graduate and doctoral levels. Dedicated research and sophisticated instrumentation facilities, extensive central library resources and a large 2,525-bedded multi-specialty hospital support all academic programs. The lush campus spread over an area of 150 acres provides a range of student facilities including hostel accommodations. Hostel facility for students is available within the campus during the course duration subject to availability. 1. MBBS Degree from an Institution recognized by the Medical Council of India. 3. 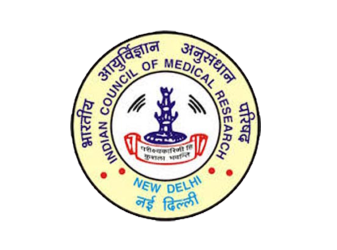 Permanent Registration with the Medical Council of India/State Medical Council. 4. Minimum of 1 year experience in industry or relevant field of occupational health or 2 years experience otherwise, after completion of compulsory internship. Selection: Eligible candidates will be admitted after an interview, on the basis of recommendations made by the interview panel. The candidates should bring all the original certificates and documents at the time of admission for verification. Applications complete in all respects, along with a Demand Draft for Rs.1000/- towards Application Fee drawn on any nationalized bank, in favour of “Sri Ramachandra Institute of Higher Education and Research (DU)”, payable at Chennai, and attested photocopies of certificates (as listed in the Application Form) should reach The Head, Department of Environmental Health Engineering, Sri Ramachandra Institute of Higher Education & Research (DU), No. 1, Ramachandra Nagar, Porur, Chennai - 600 116, Tamil Nadu, by Registered Post with Acknowledgement Due only. The envelope containing the application should be superscripted “Application for Admission into AFIH 2019”. Applicants working in Govt. / Public sector undertakings / Autonomous Bodies etc. should apply through proper channel. Incomplete applications will be summarily rejected.